You may have noticed something happening over at Gawker media. 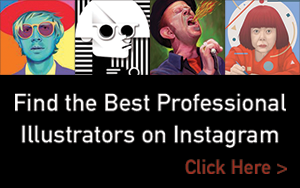 Things have been way visually cooler over there for the past year, thanks to the efforts of Illustrator Tara Jacoby and Sam Woolley and Art Director/Illustrator Jim Cooke. Last April (2014), Cooke – on behalf of Gawker Media – put out a call for a “staff illustrator”. We’re looking for a graphic design and illustration junkie with an editorial focus. You can read a post, conceptualize an interesting visual solution, and execute an image that will make that post better…within an hour or two. You are clever and have a keen sense of humor, and your portfolio reflects this. Tara Jacoby turned out to be the perfect choice for the job. Her work brings just the right balance of humor, wit, and humanity to Gawker’s incredibly wide range of topics and compelling headlines. Here at Illustration Age we always strive to celebrate the people, publications and organizations that embrace the use of illustration, and next week we’ll be sharing our conversation with AD Jim Cooke about Gawker’s motivations for doing just that. But first, we think it makes sense to start with the images themselves, so we’ve collaborated with Tara to highlight some of our favorite illustrations of hers and also take the opportunity to pick her brain about her experience working with Gawker over the past year. Enjoy! ILLUSTRATION AGE: What inspired you to answer Gawker’s call for an in-house illustrator? TARA JACOBY: I had been working as the graphic designer at the Society of Illustrators and freelancing. 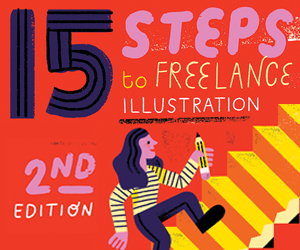 I’d looked to change gears and focus on illustration and considered going freelance full-time. To be honest, I had no idea Gawker was hiring. A friend had sent me the link twice before I even read it. When I actually did read it, it felt like the stars had aligned. I had to have it. This job was tailor-made for me. So, I applied immediately. Sometimes the job feels too good to be true. I cannot believe that I’m excited to go to work everyday. You know when people say “do what you love and you’ll never work a day in your life”… well, they were right! Fun (after the) fact: Jim had me come into the office for a trial day after my interview. I completely blew it. He sat me at the “smelly Deadspin table” and I sat there silently freaking out and frantically sketching ideas, reading and re-reading the assignments as my career hung in the balance. I basically had an eight hour anxiety attack. I still can’t believe that he hired me after that. IA: What’s it like to work under rapid-fire deadlines on such a regular basis? TJ: Well, had you asked me that in June, my head might have exploded from all of the pressure. At first, I was completely stressed out. I tend to overthink… let me see… well, everything. The first couple of weeks I was waking up at 4:30 every morning just to mentally prepare myself for the day ahead. I basically drove myself insane. I think I hid my neurosis pretty well? I’m not sure. All I knew was, Jim hadn’t canned me yet, so everything was copacetic. Now, I actually think it’s refreshing to work under rapid-fire. You don’t have time to overthink anything. And being a perfectionist, I feel like this really helped me loosen up both technically and creatively. Overall, I love it. Typically, each one of us does 3-5 illustrations in a day, depending on how busy we are. That doesn’t include the other more design-oriented images we make. The three of us are constantly working. By the end of the week we can’t even remember all of the things we’ve done. Over a course of 7 months, I’ve done roughly 500 or so illustrations. I’ve never been so productive in my entire life. 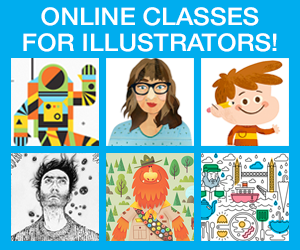 IA: How much creative freedom do you feel like you have on these illustrations? TJ: The organization as a whole is encouraged to be bold and honest. Nick Denton once said, “We are beholden to no one.” That holds true for the art department as well. We can draw whatever we want with no apologies. That’s the beauty of working for a truly independent media company. They are always challenging you to push the limits and speak your mind. I’ll admit, sometimes we do get a little carried away, but that’s not a terrible thing. IA: To end on a light note, many of your illustrations deal with sexual themes. What does your mother think about that? TJ: My mom rules. My whole family does. 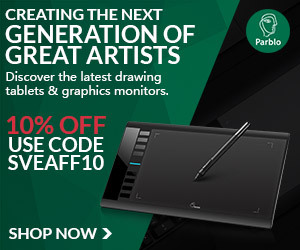 I could draw pretty much anything and they’d support me. They always have. After the first couple of weeks, they all just accepted that if they ask about my job, they better be ready for some NSFW art. I’m lucky to have a family with a few loose screws and a great sense of humor. Thanks to Tara Jacoby and Gawker Media for their contributions to this article. Stay tuned for our conversation with Gawker Art Director Jim Cooke!